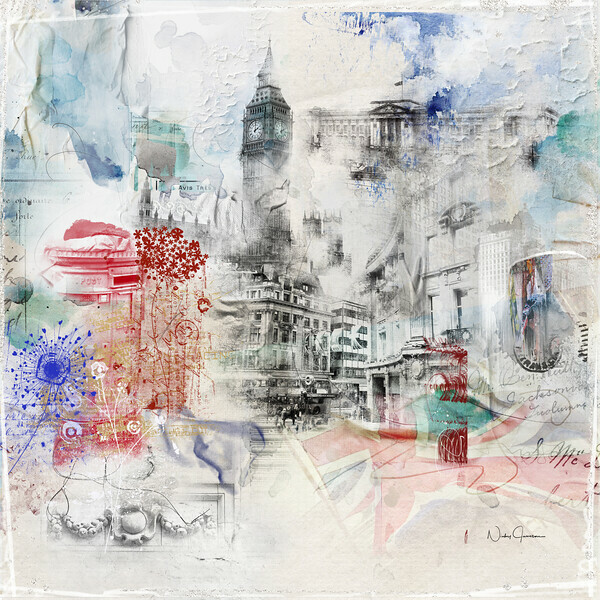 A study of London Architectural treated to watercolour stains. How many can you spot. I tend to like dark backgrounds in general however this one went in a very different direction, with key colours of red, white and blue and postmarked script. I think I'd like to do a series of these. This composition will look great on canvas to take advantage of the textures. Whatever medium you choose it's one of kind and will look smashing, always with lots of detail to see. It's available as a 24 x 24 print.